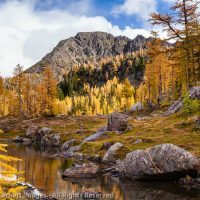 While on a backpacking trip in British Columbia a few years back, I asked some experienced backcountry photographers where the best place was to photograph larch trees in the fall. Without hesitation, they unanimously responded, “Larch Lake!”. So when my friend Max asked me if I wanted some vouchers to stay in the high camp near there, he didn’t have to ask twice! My backpacker friends had also told me that while Larch Lake was the best place to find larches, it was also somewhat difficult to get to. Some backcountry destinations allow you to simply drive up to the trailhead and head off with either a day pack or a backpack, depending on the distance to the destination and your preference. Others area are similar except that before you drive up, you need to obtain a permit, sometimes free, sometimes costly, and occasionally not available except through a lottery system. But Larch Lake was different. Even though it’s located on National Forest land in the Alpine Lakes Wilderness, the only reasonable access is through a privately owned camp (also on Forest Service land – there’s a story here) that charges fees for transportation as well as for overnight stays in their camp. Well, that sounded like more hassle than I wanted to deal with, so I moved on and forgot about it. 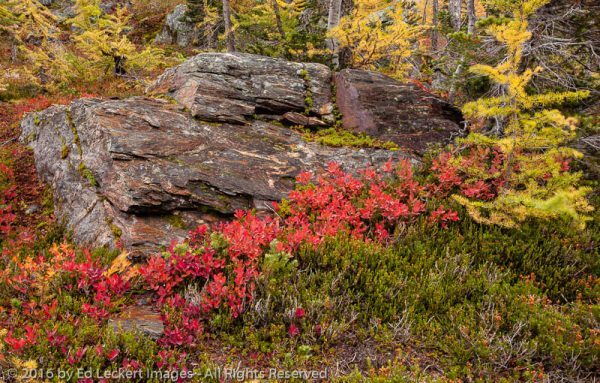 Then last year after I had posted an article about fall color, one of my readers, Max, suggested that I check out the Scottish Lakes High Camp and the surrounding Alpine Lakes Wilderness, including Larch Lake. He followed up with free vouchers to visit the camp, so I put it on my calendar for this year and made a commitment to myself to check it out. 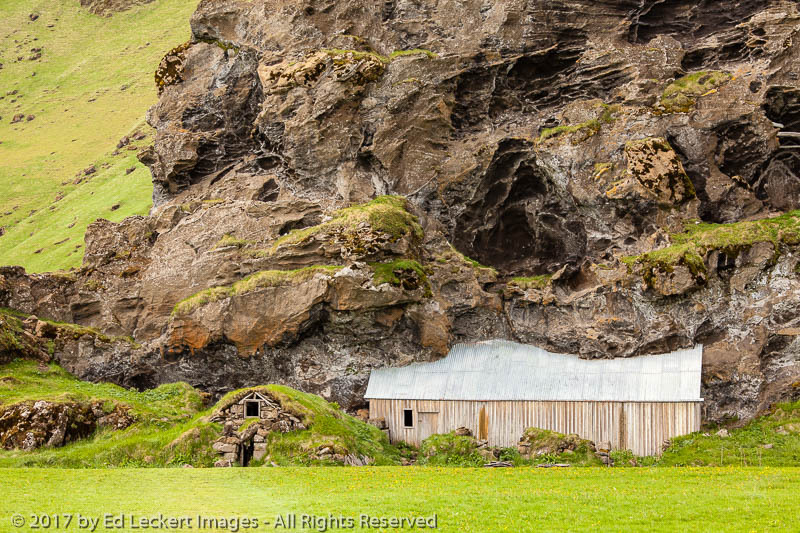 I decided to invite my friend Jeremy, since he is an experienced and avid outdoor photographer and hiker. This is important, because it means we would have little trouble agreeing on each day’s plans, and no matter how intense it got, I wouldn’t have to feel guilty about dragging someone along who didn’t really want to be there or worry about their safety. This turned out to be a good idea, as the weather, while not overly dangerous, was not what I would call pleasant, and the hike was grueling. By not pleasant, I mean rain was forecast for the entire time we would be at the camp, with snow and other frozen precipitation a possibility. In reality, we got pretty wet. Now, we’re both Mountaineers, and we know how to take care of ourselves out there, but even with good, “waterproof” boots (hint: there’s no such thing! ), our feet got soaked. At one point on the way back, Jeremy took off his boots and wrung out a few tablespoons of water from his socks. Yes, it was that bad. Why did our boots get so wet? It wasn’t the sketchy stream crossings, though there were a few. No, what got us was the unbrushed trail. Because the Larch Lake trail is so remote and so infrequently used, it doesn’t get as much love as other trails, and the grasses and bushes were overtaking the trail just enough to dump their moisture on our boots as we walked by. Do this for ten miles and your boots will get completely soaked, trust me. As for the moisture coming from above, that was mostly sleet, at least while we were at the lake trying to photograph. For the rest of the hike we mostly encountered drizzle. 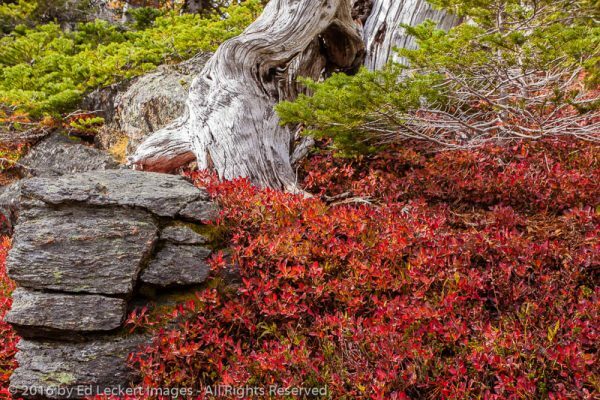 Fall color surrounds a lichen covered rock formation near Larch Lake, in the Alpine Lakes Wilderness, Washington. 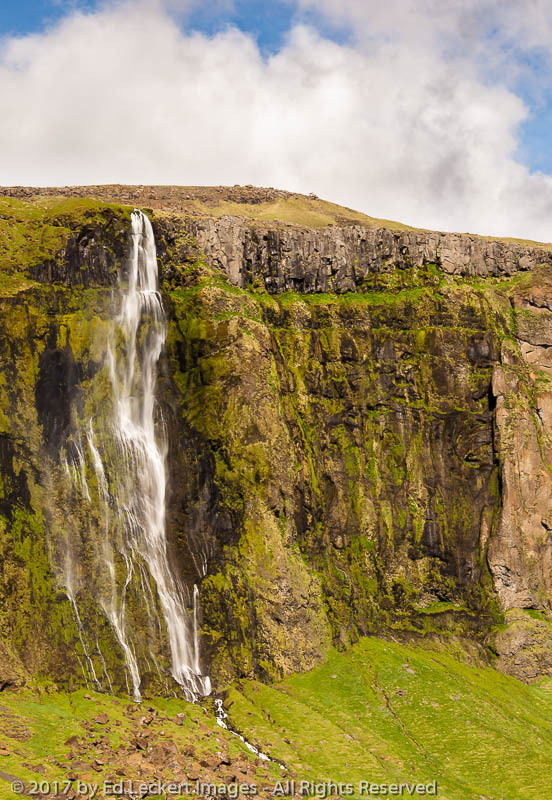 Now you’ve probably heard me and perhaps other photographers say that sometimes the most adverse weather conditions make the best photographs, but I would add that this is mostly true before and after the worst of it. Ansel Adams was a huge fan of photographing clearing storms, emphasis on the “clearing”. 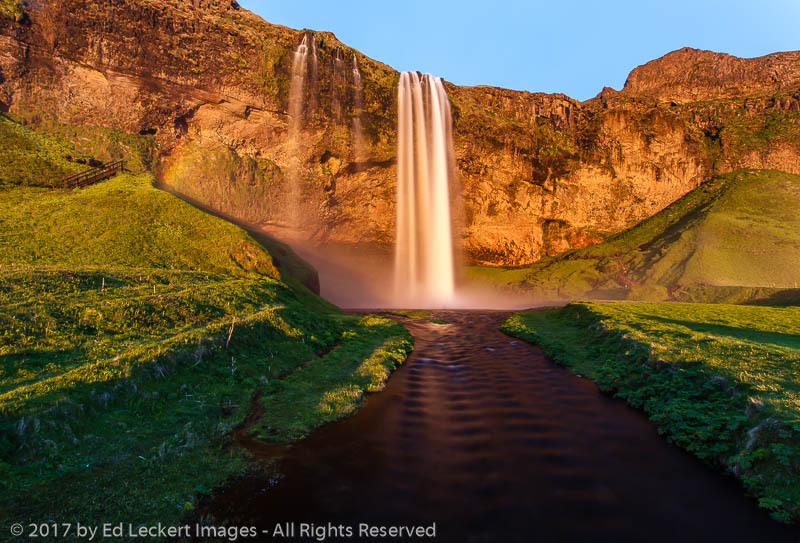 During actual adverse weather conditions, photography is challenging, and the results can be disappointing. You have to protect your equipment, you have to protect yourself, and while fog images and raindrop images can be quite compelling, shooting landscapes through actual rain does not often result in much except dull, flat, and low contrast images. That’s my story and I’m sticking to it. We did have periods, and I mean a minute or two, where the sleet would stop and the sun would peak through. We tried to make the best of it, but some of the images we had both envisioned were impossible. For example, the main reason photograhers flock to lakes in the fall is to get those fabulous mirror images of fall color reflected in the lakes. This is a bit difficult when the wind is blowing so hard that there are whitecaps on the lake! So just go back the next day, right? Like I said, the forecast was not good all week, and that was the last week the camp was open this season. So after getting pretty beat up on that hike, neither of us gave a second thought to going back, though we did hike to other more nearby lakes in the area. And we decided that next time we come back we will backpack in (after the required stay at the camp, or perhaps before) and spend the night near Larch Lake. That way we can photograph early in the morning when the wind is usually calm, and we can stay a couple of days, giving us better odds at getting conditions we like. So what it it like to stay at the camp, and how did it get its name? You guessed it – we’ll talk about that next week! 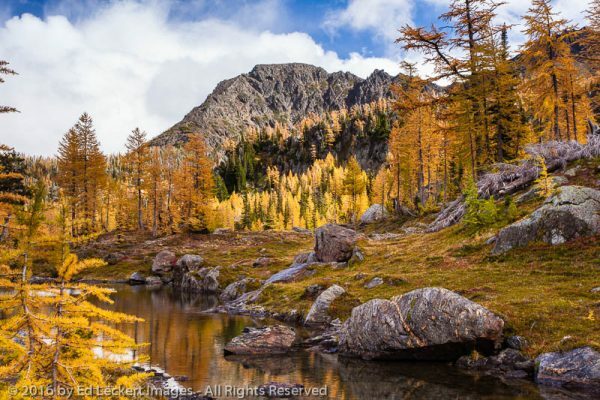 Larch trees turn golden as autumn reaches the Central Cascade Mountain Range, at Larch Lake, Alpine Lakes Wilderness, Washington. Great trip report. I forwarded it to Chris and Eric at High Camp. I also posted it to facebook. I hope you get to go back next fall and get all the pictures you want.